DISPLACEMENT’s star Courtney Hope was honored with the Maverick Award at the Action on Film International Film Festival this August in Las Vegas. Congratulations to Courtney on a well-deserved award! Our director Kenneth Mader had the privilege of introducing Courtney, where he talked about meeting her as a teenager to work on her first demo reel and knowing then she would be a star. Nine years later he cast her as the lead in DISPLACEMENT where she delivered a stellar performance that lead to this award. She current has a starring role on “The Bold and the Beautiful” on CBS and is also featured in the video games “Quantum Break” and the upcoming “Control”. Last week, the cast and crew of Displacement loaded up all the gear and headed down south to Dana Point, CA to film scenes in RJ’s Cafe. It was an intense few days, but we are all excited to be back and shooting more of the film. We cannot thank our supporters enough for the ability to be shooting once again. 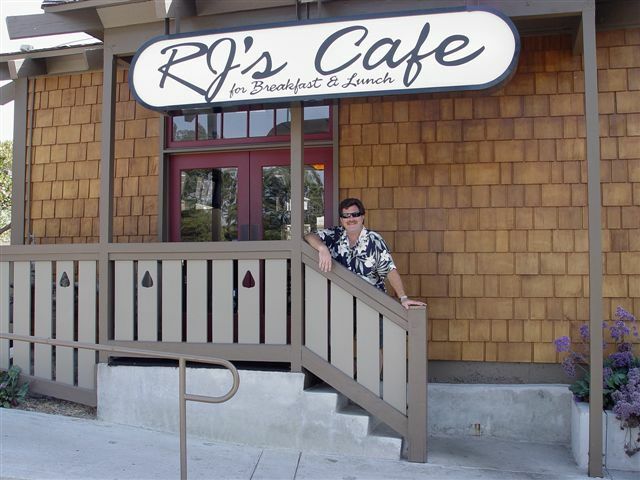 If you find yourself down in the Dana Point area, be sure to check out RJ’s Cafe and tell him we sent you! The food is amazing! GREAT NEWS EVERYONE! We are very pleased to welcome the newest member of our cast, the great and powerful character actor LOU RICHARDS who will play Cassie’s father Charles Sinclair. Lou came in to read with Courtney and it was electric. We could immediately see them as father and daughter and the chemistry was palpable. We’re very excited to be working with yet another fine actor in this amazing ensemble of talent we’re assembling. Welcome to the family Lou! Stay tuned for more exciting casting announcements coming very soon as we ramp up for more filming after the campaign.